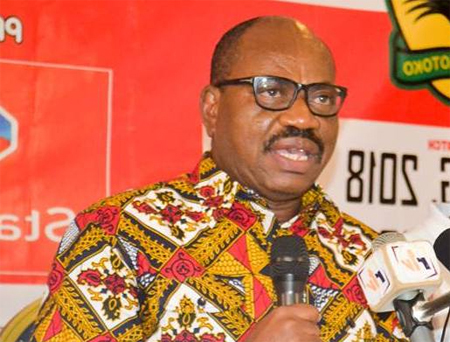 Chief Executive Officer of Asante Kotoko, George Amoako has called on the supporters to rally behind the team against Kariobangi Sharks tomorrow as he defends the gate charges for the duel. The Porcupine Warriors host the Kenyans in the second leg of the second round of the 2018/19 CAF Confederation Cup at the Baba Yara Stadium with tickets going for GH¢ 20 at the Popular Stand and the Centre Line, GH¢ 50 at the VIP and GH¢ 80 at the VVIP. George Amoako told a press conference on Wednesday, the move is to generate funds to defray part of the cost being incurred in the campaign.